The Rule of Thirds is one of the basic and most widely used photography composition techniques. It’s important to learn this concept as it can be applied to all types of photography. 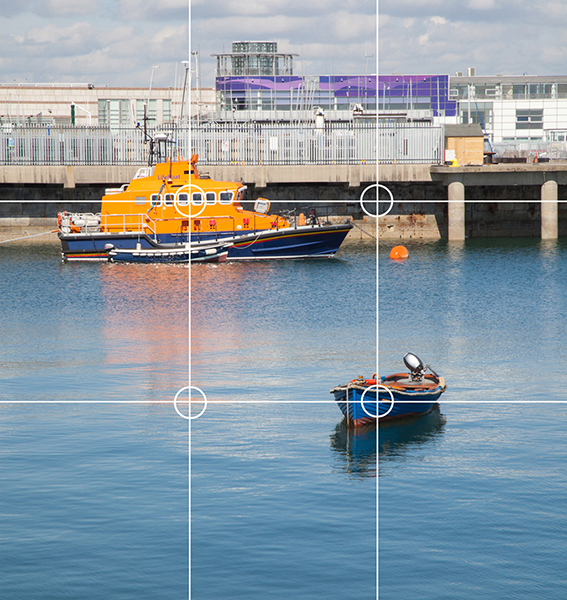 The Rule of Thirds is successfully used in all -landscape, portrait, wedding and stock photography. It doesn’t mean that this rule has to be followed at all times. It’s rather a time-proven recommended photography technique which, however, is not set in stone. What the Rule of Thirds actually is? This rule was developed centuries ago by painters to help achieve visual harmony in their artworks. And as photography uses similar composition concepts, the Rule of Thirds can be successfully used by photographers too. All you have to do is mentally divide your frame into nine equal sections using two horizontal and two vertical lines (as shown below). Then align your subject along the lines or place it on any of the four line crossings. As simple as that. When shooting a portrait it’s fairly simple to position a model on one of the grid’s lines. If you shoot landscapes, however, you may need to move around a bit in order to compose your photo right. Keep in mind that you may use a photo editing software later on to crop your image and emphasize the objects accordingly. So, it’s perfectly fine to shoot a bigger frame and refine it by post-processing crop. Finaly here is a word of warning: photography is an art, any rules are not set in stone. Don’t forse your images to comply with any rules if you don’t feel like. Rules are only guidelines and you don’t have to follow them blindly. It’s your vision and your artwork, if you feel like breaking the rules – go for it! ← Sigma 18-250mm F3.5-6.3 DC (OS)* MACRO HSM. One Lens. All Occasions.